We just finished a series in Church titled: Thank God It’s Monday. The series is about work and the title is based on the popular saying: “Thank God It’s Friday”. We usually say “Thank God It’s Friday” because we know that for most people that’s the last day of work. We thank God it’s Friday because we can look forward to a weekend of relaxation, rest and enjoyment. 😀 Who doesn’t want that right? 🙂 The sad news sometimes is this: The reason we look forward into the weekend so much is because we don’t enjoy our work. Apparently a lot of people see work as a curse or a toil rather than a privilege from God. That’s why they’re not that too excited when Monday comes. We did this series because we hope that people will understand that work is a blessing from God and can be enjoyed by reflecting on His character and nature. The truth is, work is from God. We are designed to work for his glory and purpose, that should really be our ultimate goal. If we get that right, I believe with all my heart that our behaviours and attitude towards work will change dramatically. Remember to always have this in focus… Then everything else will follow. Even in the original story, God created man not only to have fellowship with him but for him to work. When God created us he already had it in his mind to give us certain responsibilities and duties in this life. Why is this important? I believe that this is important because prudence has something to do with the mind. While diligence talks about hard work, prudence deals with carefully thinking about our plans and actions. That’s why the world’s top managers, team leaders, etc. 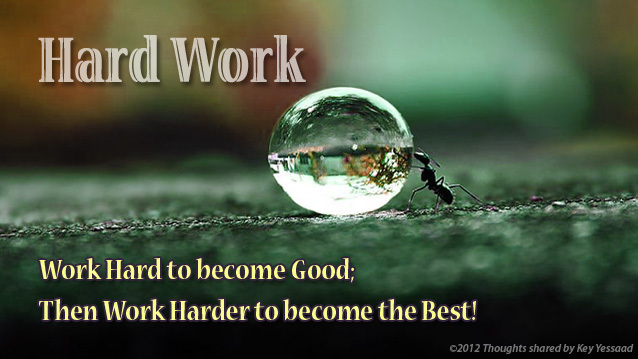 aren’t just those who work hard (diligence) but those who carefully think about whatever decision they need to make. In our work, this is important, to give thought to our ways as well as being diligent. Those two should always go hand in hand. This next that I’m going to talk about, most of us know this to be true even though we have a hard time admitting it to ourselves. It’s about TRUSTING in our own ways and wisdom. I think the reason why we may not agree on these truths is because of our pride. We think we always have the best ideas, we think our solutions are always the right answer. Proverbs says that “There is a way that seems right to man (us)”, the operative word there is “seems” “but in the end it leads to death”. I always have to remind myself of this truth because I know that left on my own I will always trust and go with my instincts. If we are just honest with ourselves we know that historically speaking, our ideas and solutions weren’t always the best. This learning actually leads to the next point. 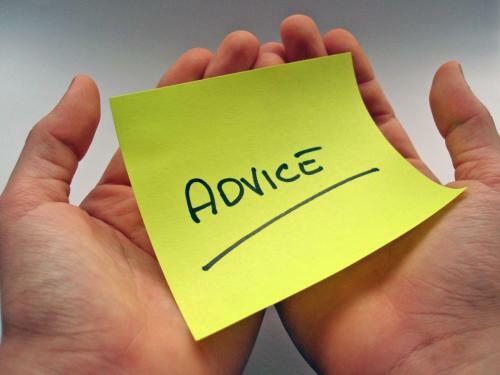 Make plans by seeking advice; if you wage war, obtain guidance. Managing our finances is one of the biggest challenge we’ll ever face in this life. Thus, a lot of people, because they get so worried and concerned about money try to chase after it. People think that as long as we have tons and tons of money then we’ll be ok. Break the Silence! What’s your Acts 8:5 story? Those who had been scattered preached the word wherever they went. 5 Philip went down to a city in Samaria and proclaimed the Messiah there. 6 When the crowds heard Philip and saw the signs he performed, they all paid close attention to what he said. 7 For with shrieks, impure spirits came out of many, and many who were paralyzed or lame were healed. 8 So there was great joy in that city. 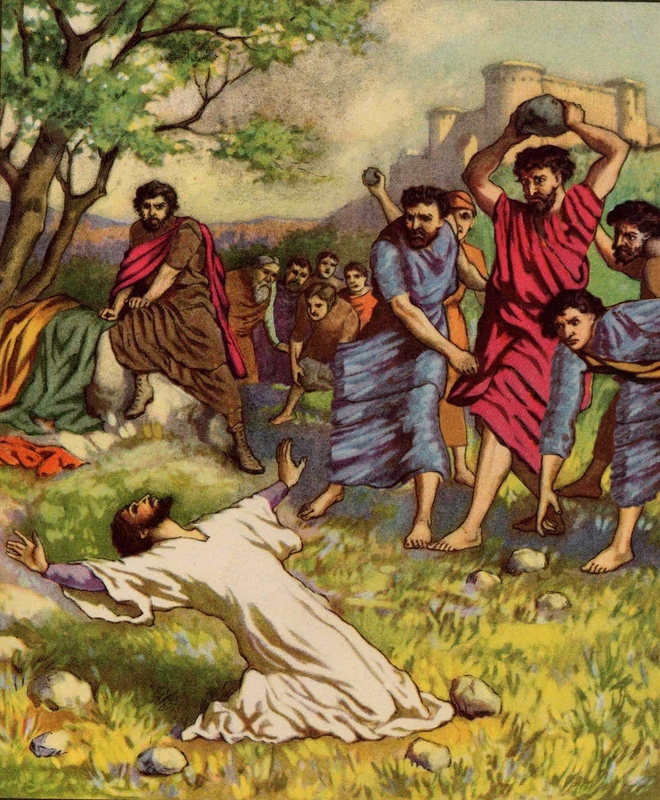 …On that day a great persecution broke out against the church in Jerusalem, and all except the apostles were scattered throughout Judea and Samaria. 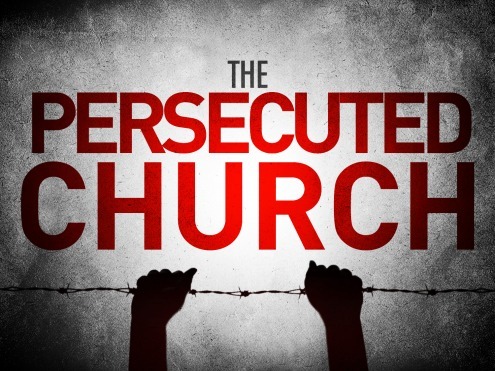 The people were scattered because a great persecution broke out against the church. Apparently there was this guy named Saul who was trying to destroy the church back then. He went from house to house and dragged the Christians to prison. Philip went down to a city in Samaria and proclaimed the Messiah there. And the crowds with one accord paid attention to what was being said by Philip when they heard him and saw the signs that he did. 7 For unclean spirits, crying out with a loud voice, came out of many who had them, and many who were paralyzed or lame were healed. 8 So there was much joy in that city. In verses 5-8 we see the story of Philip as he went down and proclaimed the message of the gospel in Samaria. The results were astonishing: 1) Signs and Wonders followed him, 2) Unclean spirits came out of many who had them, 3) People got healed and 4) A great joy came to that city. Philip, because of his obedience to preach the gospel resulted to the revival in Samaria. This happened because of his initial obedience to go wherever God had called him from Acts 8:5. Philip went down to a city in Samaria and proclaimed the Messiah there. Philip was just one of the people who got scattered because of the persecution. God had a unique calling for each person who were scattered. The same can be said of you as well. Where do you think is he calling you to preach the gospel? Where’s your season right now? Where is God placing you? This is your Acts 8:5 story. This is not just Philip’s story. This is also your own personal story of how God will use you in a place to preach the gospel so that transformation can happen in that place. How about you? What’s your Acts 8:5 story going to be? Where’s do you think God’s calling you in this season? Fill in the blanks below with your name and the place where God’s calling you to make an impact. 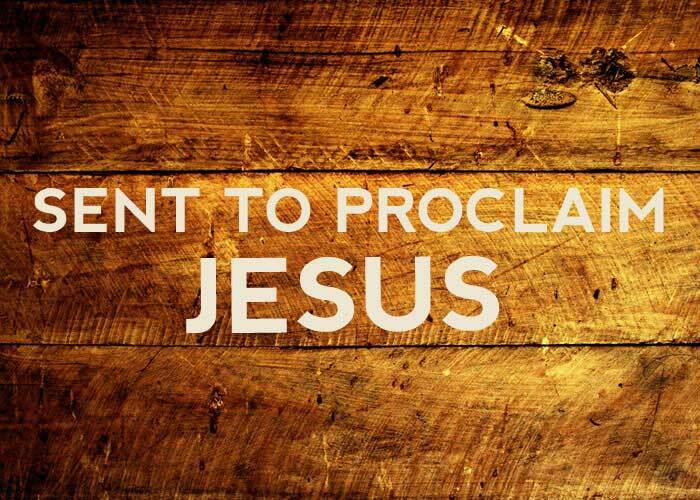 …and proclaimed the Messiah there. Leadership. A lot of people say that this one word is the difference maker. Whether you are running an organization, a project, an event, the military or a whole country this is THE ONE intangible element that will effect positive change. This blog recounts my personal journey: a person who’s a natural born introvert transformed to a student of leadership. 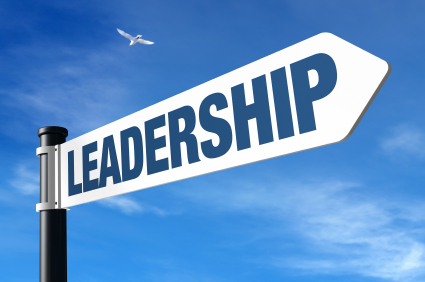 Now I know for sure that I am not the best leader out there but ever since God placed a call in my life to preach the gospel and make disciples I’ve intentionally tried to learn and get better with this area called leadership. I was not a natural “born” leader. I was more inclined to be a follower for the first 20+ years of my life. 1) My main areas of interests are Mathematics, Music, and Finances. I’d consider these fields as areas where leadership isn’t that important. 2) I’m a person who can stay at home for days all by myself without interacting w/ people. 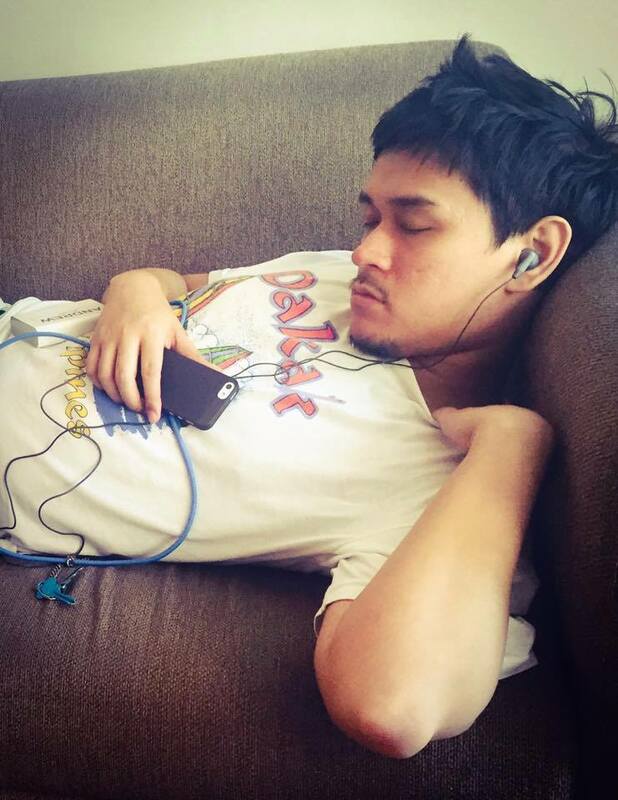 I can sleep, eat and surf the internet without feeling the need to go talk with people. The first group are those people who’ve just recently developed an interest in this area called LEADERSHIP and don’t know have any idea where to start. The last group of people I want to talk to are those whom I know God’s calling to be a leader, step up and initiate change. Don’t back out of the challenge even though you know that it’s going to have a lot of difficulties. We need more leaders in this world to effect positive change. I encourage you to step up and rise to the call of God’s leadership in your life. If you identify with any of the three people groups I mentioned above then I believe that it’s not an accident that you’re reading this blog. If somehow, after reading the things I wrote above and it resonates with you quite well. I can relate with you perfectly. If you feel something rising up in your spirit or a chill in your spine as you read about this topic. I believe that God has called you for such a time like this. I pray that you’d accept this mission and role that God has sovereignly placed in your life because of this: The world needs more leaders. Leaders who are servants, selfless and agents of positive change. We’re in good company. You see, because it will not be about our own strength or ability. If that’s the standard then I would have quit on this leadership journey years ago. But No. It’s all about God’s character and his strength. The reasons we’re being called is so that he can display his power in our lives and through us. If God’s calling you to lead I hope that you’d accept his call in your life willingly out of obedience to him. Here’s a secret I want you to know. In the end we’re already successful if we’d obey him every step of the way because the victory is already won at the cross 2,000 years ago. It’s not going to be by our own efforts but ultimately by his finished work. 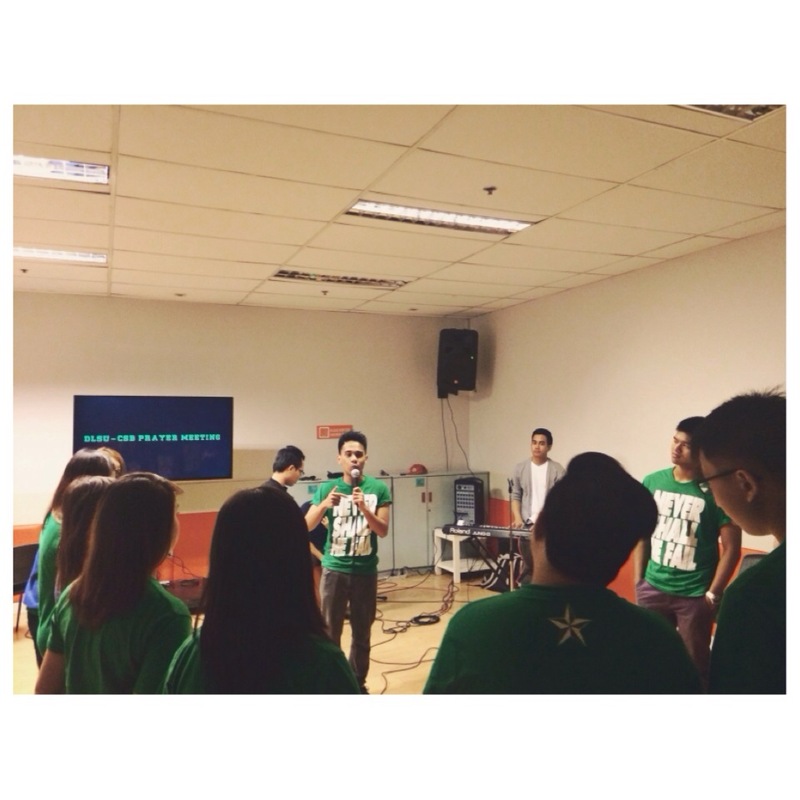 The question is will we say yes to his invitation and privilege of leading others for positive change? I hope so. Remember the victory is already won. We just have to trust in him that through our own set of weaknesses, God will display his power and strength in every and any leadership challenge that we face in the future. It was the battle of the best team in the world vs. the best player. 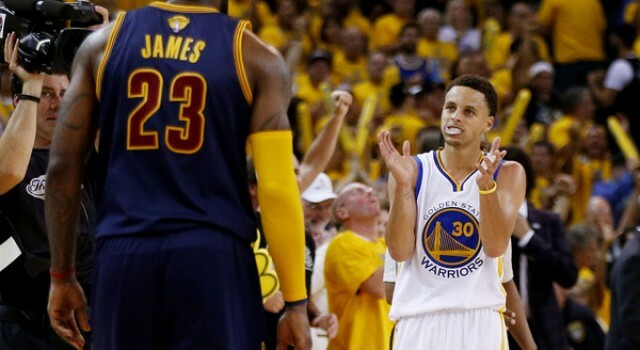 That’s how I would sum up the recently concluded NBA finals. On one corner was Lebron James. A two-time NBA Champion, four-time MVP and the first player since Bill Russell (1960 era) to appear in the NBA finals for 5 straight times. With all-stars Kyrie Irving and Kevin Love injured, he had to carry the weight of his whole team on his shoulders. On the other side was the Golden State Warriors. They hold the NBA’s best record at 67 wins and 15 losses. Only ten teams in the history of the NBA were able to do that. Also, they were placed in the very competitive Western Conference. The top seven teams in that bracket had at least 50 wins which means any of them were capable of winning an NBA championship. In spite of the odds, they were still able to breeze through that conference with ease. That was the story line. The best player in the world going against the best team. Can this legend, future hall of famer and possibly one of the top ten players in NBA history single handedly defeat the strongest team in the NBA right now? One of the reasons I’m writing this is because I think that this recently concluded NBA finals is a great illustration on teamwork. I wrote this down personally so that 1) I’ll not forget about its value and 2) I’ll keep on pounding its importance and benefits to my head. “…one is too small a number to achieve greatness. You cannot do anything of real value alone. I think I read John Maxwell’s quote from one his leadership books. I am reminded that Leadership is not about being a great individual contributor but about making your team great. 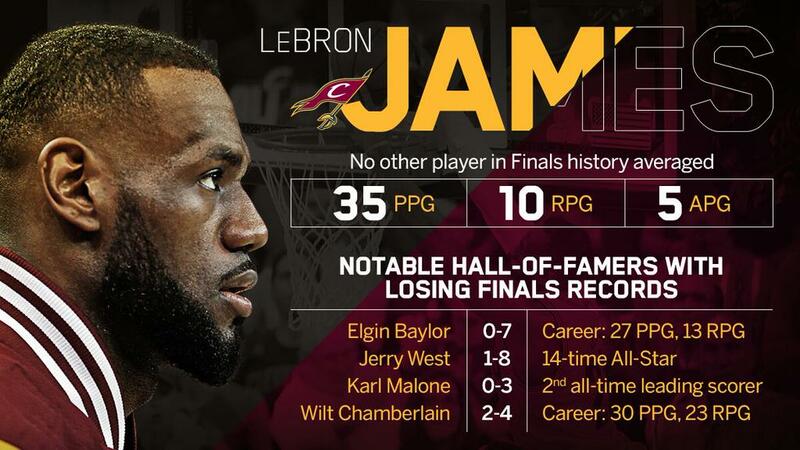 For Lebron James, his numbers were historic. He was the first player to to average more than 35 points, 10 rebounds and 5 assists per game. (35.8 ppg, 13.3 rpg, and 8.8 apg to be exact). However, as historic as his finals performance were, it’s clear that one man can’t do it alone. There’s just too many bases to cover on the basketball court. Basketball still is a 5 on 5 sport the last time I checked. The only way he could have won that series is if he could have been in two places at the same time. I saw many times in the game where he got frustrated because the defense of the Cleveland Cavaliers just wasn’t good enough to stop Golden State. Lebron James can’t be everywhere. A leader has limitations no matter how good he is. We all have limitations. Nothing beats the value a team brings. I remember a time when I was heading an event in our campus ministry last 2010. It was a small event for around 30-40 people. I lead the initiative and at that time I thought that I had to do everything myself. I had a wrong mindset before about asking for help. The reason I didn’t ask for help is because: 1) I thought that I can do everything myself and 2) I didn’t want to be a burden to anybody. Those mindsets led me to organize everything (well almost) from the powerpoint, logistics, food, program flow, being the emcee etc. By God’s grace, since it was just a small event, it was successful. However, I learned a little bit later that if I continue to go on that pace… I’ll burnout sooner or later and will limit what I can do as compared to working with a team. A couple of months later, as I lead another event, that time around I had a team with me. It was a world of a difference knowing that you have a team with you helping out in making sure the event becomes successful. That time around we were organizing an event for 80+ people. If I went on w/ my current pace last 2010 the event would have been a disaster. Not only would the event be a disaster, but I would have also prevented opportunities for other people to grow by serving. Fast forward a few years later, my job responsibility has now shifted. We now have students who lead the events I led before. With my current workload I just know that I will not be able to be hands on with these things anymore. Seasons do change. However, I’m glad that there are people who rise up to lead those projects. I cannot do everything alone, we need other people, we need a team. I have nothing against Lebron James, in fact I rooted for him the entire series. I think the series would have been different had Kyrie Irving and Kevin Love played. Yesterday was just proof than no individual can accomplish great things apart from the help of other people. Sometimes we forget that behind every great leader who has ever stepped up and made a difference in this world whether that’s in the government, economics, sports, etc. there was a team that helped them succeed. Without a team behind these great men and women, I doubt, just like what John Maxwell said, if they would have achieve anything significant in this lifetime. 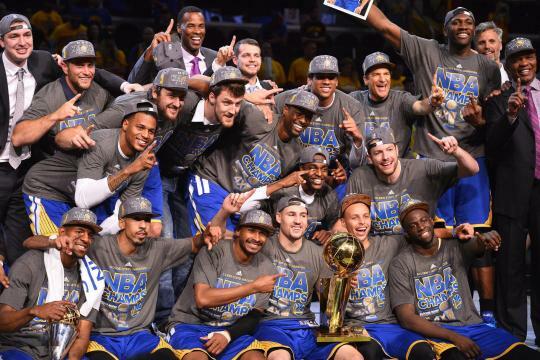 Congratulations to the Golden State Warriors. As I watched them win the last three games, I thought to myself that this is what great teamwork looks like. In this second part, I’ll be talking about the role that godly counsel plays in knowing his will for our lives. 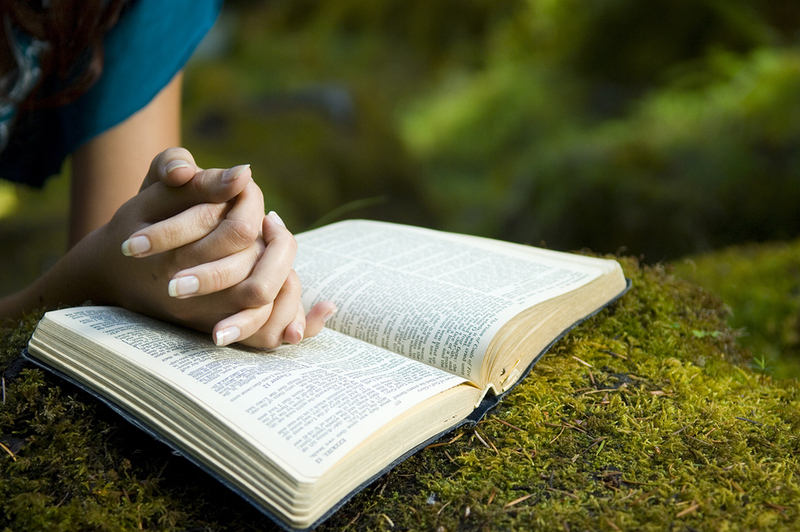 God’s word and godly counsel are two of the most practical ways in discerning His purpose for us. 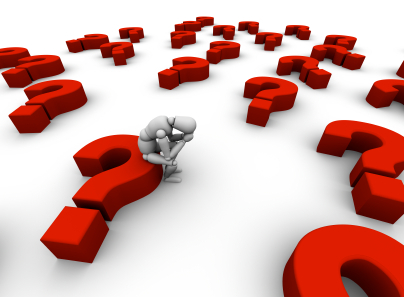 So what does godly counsel have to play in knowing God’s will? In this blog I’ll be using the word “mentors” interchangeably for the phrase: “godly counsel.” Will a mentor help me discern most of our biggest questions in this life? Will a mentor help a student discover what course he should take in college or help guide anyone in their future career path? 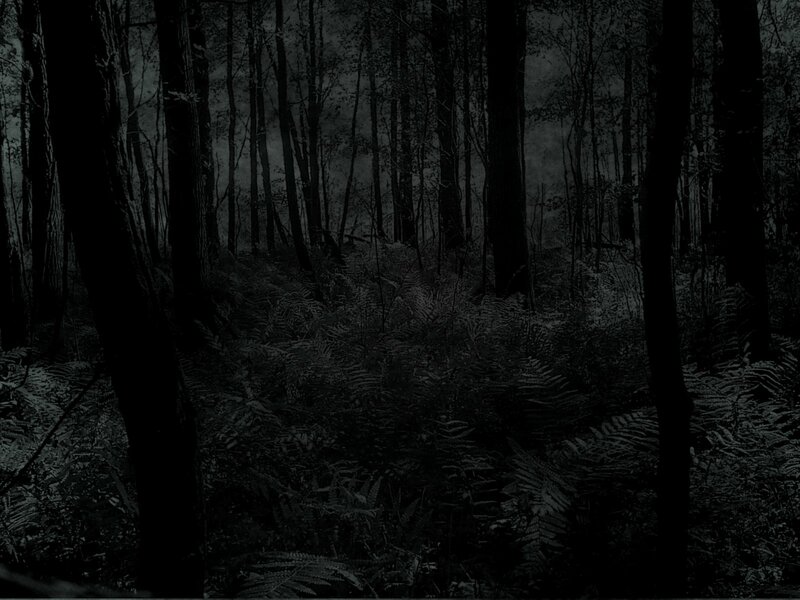 Imagine being lost at night in an unknown place like a forest. You don’t know what direction to take or what path will lead you to safety. A mentor is like a person who goes ahead of you and carefully threads the dark path of that jungle. As he explores and checks out which route is safe or not, he can guide those who are following him in walking towards the right direction. For me, that’s a great illustration of what mentors helps us with. They help us not make dumb and stupid decisions which we may later regret in life. This is especially true in knowing God’s will for our lives. Our mentors/godly counsel help us in knowing and obeying God’s will for our lives especially in obeying his word. 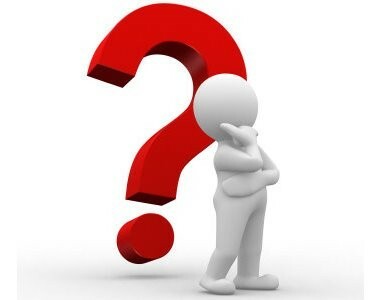 Now that we know the value that a mentor brings to our lives, the next question the rises are who are these mentors? Where can we find them? What does a great mentor look like? They key in finding godly counsel and great mentors is they should know God’s word very well. Psalm 37:31 says “they have made God’s law their own…’ I think this is one great way to know if someone can provide you with godly counsel or not. We have to see their lives if they are deeply rooted in God’s word. Again, going back to my blog last February, we cannot overemphasize the role that God’s word plays in knowing his will for our lives. Rightly so, our mentors should be able to lead us, through their experience, on what God’s word clearly says about our particular situation. 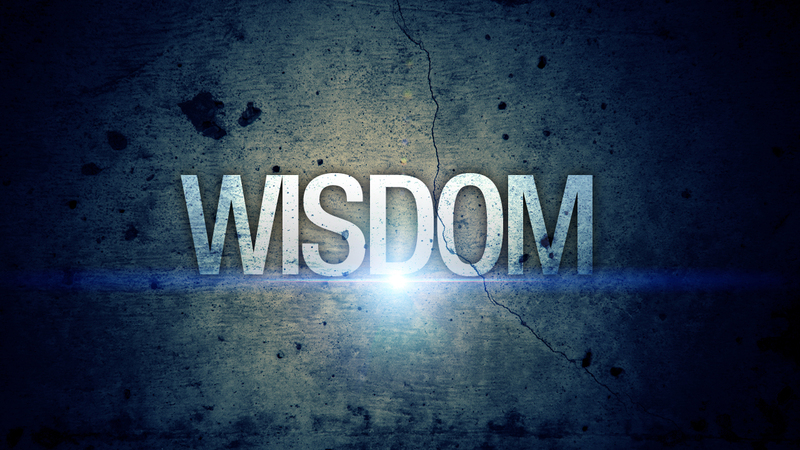 Mentors/godly counsel do not presume to know everything there is to know in this world. They are humble and always relying on what God has spoken already in his word. They are guided by the Holy Spirit and quickened to give a verse that applies in the situation someone’s currently in. As someone is always guided by God’s word, the promise is God will make our path’s straight. I remember a time in my life where my walk with God hit a bumpy rode at the risk of almost being derailed in my walk with Him. This was around the end of 2008. I have intentionally strayed away from my relationship with God. After making a few dumb decisions and coming to my senses I opened up to my mentor, the person who did 121 with me. I opened up my sins to him and told him what I’ve done. He rebuked and corrected me. All I could do was listen and accept his scolding. I realized that he was very much concerned in my life that’s why he confronted me like that. I was already repentant during that time however I knew that God was using that moment to reinforce the message of walking straight in his path. A mentor will help us walk a straight path. They have the ability to see and check our blind spots and correct us for our own sake. 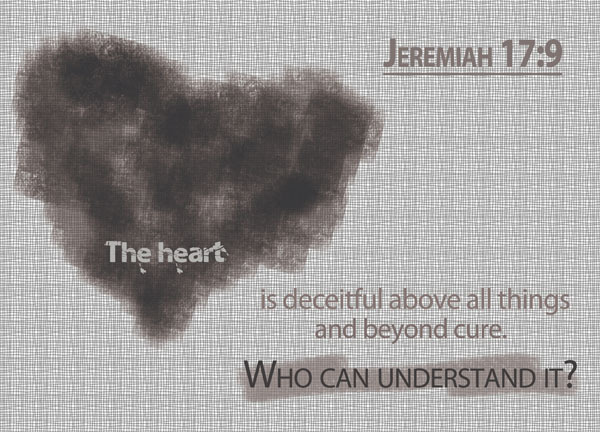 The Bible clearly says that “The heart is deceitful above all things, and desperately sick; who can understand it?” One thing we have to clearly understand and be aware of is that our hearts our deceitful. 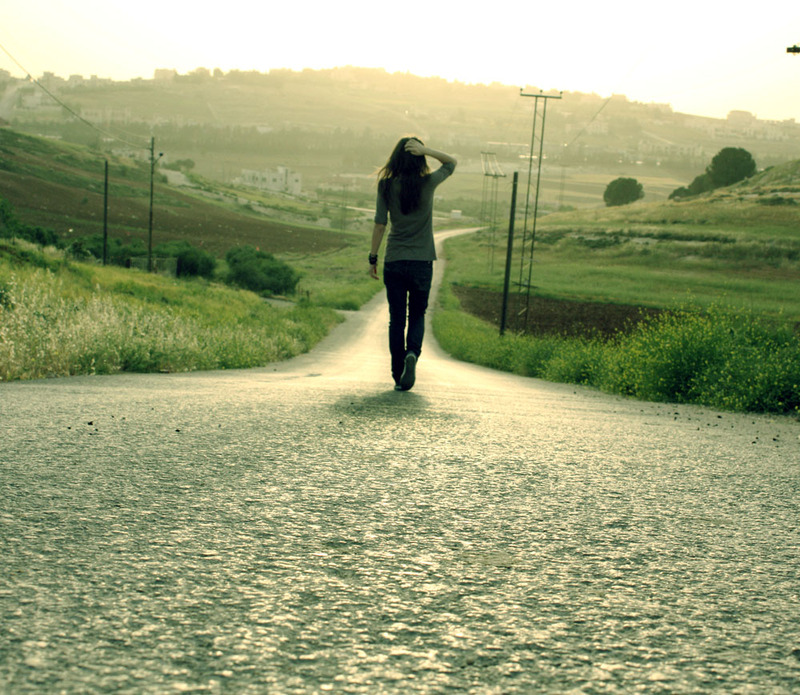 Left on our own we will stray from the right path towards God’s will for our lives. A mentor is someone who can help us avoid the wrong path that will be detrimental to our relationship with God. Question: Who are the mentors in your life? Who are the people helping you in your walk with God? Are you constantly looking for godly counsel especially when you’re in challenging situations? In knowing God’s will, no man is an island. Christianity is communal faith, that’s what our Senior Pastor would always say. We cannot do this alone we always have to walk in fellowship w/ other Christians specially having mentors in our lives. In closing, let me just reiterate: Mentors have gone this path before in trying to discover God’s will for their lives. They’ve made right decisions and wrong decisions, we can definitely benefit from that. They’ve also loaded up with God’s word so ideally they would know what verse can apply to our particular situation. Lastly, they will be there for us so that we would not swerve to the wrong direction in our walk with God. The first blog deals more with describing what perseverance is and looking at it from a Biblical perspective. Yesterday, I experienced it first hand. 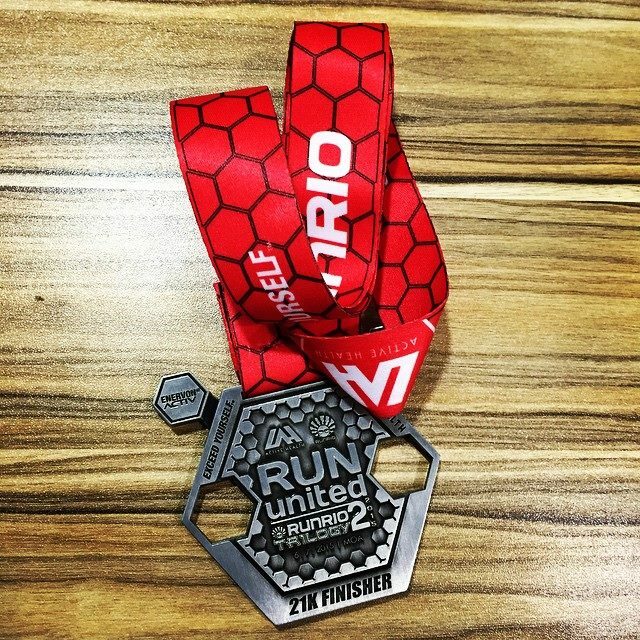 After doing poorly from yesterday’s run, I learned and realized three things that can prevent us from having a persevering spirit. People asked me how did I do in my run? I told them the truth and said that I finished at 3:05. At the risk of sounding like a poor performer I immediately made excuses. One of the excuses I said is that I gained 10+ pounds since the last time I did this back in 2013. I reasoned that the weight difference affected my pacing. I had to jog at a slower pace. Also, after the 12KM mark, my legs started to cramp up. I immediately went to a nearby medic to have ice applied to my quads and calf muscles. I couldn’t speed up anymore because I knew my legs would give up on me. Thus, I started walking for the most part of the 2nd 10KM. Although, some of my excuses may seem legitimate I realized that in life there will always be unforeseen factors that can hinder us from reaching our goals or performing excellently. We have to be ready and prepared for uncontrollable factors that will arise. When these things come we have to adjust and do our best. For a huge part of that second half, I could still have jogged at a slower and much more steadier pace. However, the excuse of cramping up got the better of me that time. 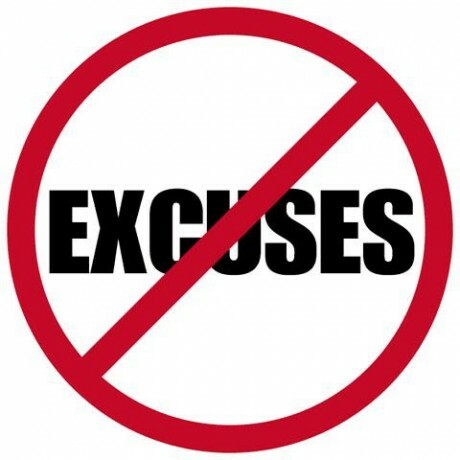 What excuses have you been using lately? 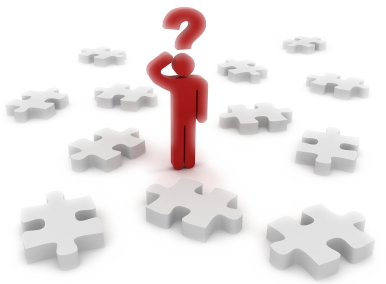 What do you think are the things you can do better to adjust given certain uncontrollable factors that comes? For me, I did not want the pain even though it was tolerable which leads to my second point. This is an age-old expression that is mostly used in working out, professional sports and even the military. In this life we will experience pain whether that’s physical, emotional, social or spiritual. Pain is something inevitable. The problem I see with most people is: The moment we feel pain coming, we want to back away from it as soon as possible. This is understandable as no one likes experiencing pain. However, the truth is pain is something we cannot get away from, we should just learn how to manage through it. I emphasized this on my first blog above. Now I realized that there’s a ton of difference from knowing it intellectually and actually doing it. When my legs cramped up I entertained thoughts of quitting. Those were some of my thoughts. I thought I was not going to be able to finish the race. Those thoughts entered my main half way through the race. Like what I mentioned in the first blog, the first thing we have to understand with perseverance is: “Perseverance is not giving up”. 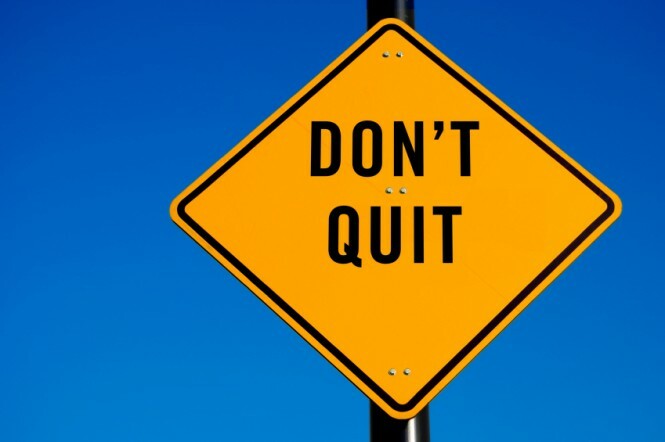 Quitting should not be an option and should not even be entertained. The moment the thought of giving up crosses your mind, rebuke it immediately. Just this morning, I was watching Game 2 of Cleveland vs. Golden State Warriors. This series would look like it’s going to be another classic. After watching a lot of great series in the past, I realized that those who battled for the championship almost had the same level of skill and talent. The thing that sets apart the champions from those who are just really talented are the ones who will want it more in the end. Champions are those who have taken out the word “Quit” out of their vocabulary. 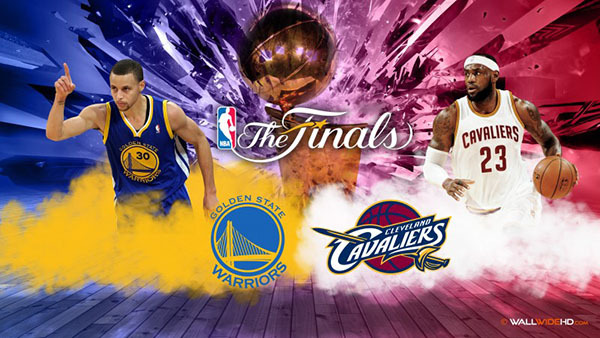 Golden State vs. Cleveland, it will go down to the team who will want it more in the end and not quit. That’s how important perseverance is. It’s the difference maker. Last week, I mentioned that we can get a lot of insights on how we can manage our time well based on the verses in Ephesians 5:15-17. Look carefully then how you walk, not as unwise but as wise, 16 making the best use of the time, because the days are evil. 17 Therefore do not be foolish, but understand what the will of the Lord is. Do this as an activity For the next 15 minutes list down your top priorities. Make sure that this is part of God’s will for your life and make sure that you cap it at a maximum of 7 (going beyond this number maybe a little bit too much for anyone). There are two Greek words that translates to the English word: Time. The first is the word “Chronos”. This word talks about the passage of time (the ticking of the clock, days, months, years) while the other Greek word is the word: “Kairos” which talks about opportune time. The word Kairos can also be used to describe the weather and the plural of which (Kairoi) means “The times” which clearly talks about the concept of seasons. The problem in viewing your priorities this way and by order is that by nature some become “more important” than others. The truth is, not all have equal weight and importance in a particular season of your life. Some of your priorities will require more attention and effort than others in particular periods of your life. One example of this is during finals week for students. During this time of the year, more of your attention, time and energy need to focus on your studies so that you can focus on doing well for your tests. Another example is if you’re part of an organization in school and heading a major project or event. There’ll be critical moments in that project or event where you’ll just have to devote more time and attention, sometimes this will even result to sleepless nights. Again, it shouldn’t be about following your priorites in order always. It should be viewed more like a wheel where some priorities will have more weight during specific seasons and periods of our lives. Careful means to be circumspect, to be circumspect means to look about. This basically means that we have to be aware of what’s happening around us and where our time goes. 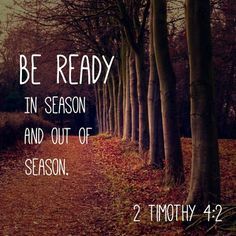 After knowing your priorities and season, now you have to be very careful on where your time really goes. It’s one thing to know your priorities and season, it’s another thing to actually spend time on those things. You have to take stock and inventory of your time. 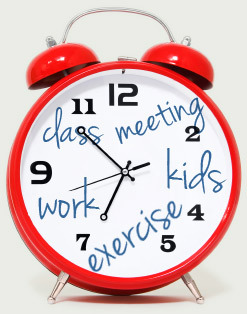 It’s one thing to say that you’re really making time for priorities, it’s another to be ACTUALLY doing it. The Bible says that the heart is deceitful above all else… Human beings are masters at self deception. A lot of people I know says that they are busy. Well if everyone is busy then no one is busy. Get it? The question is are you really busy? Or are you just saying that and are actually wasting your time? Take an account of where your time goes just like how a financial planner would take account of where our finances goes. Carefully do this for the next few weeks and see if you’re really making good use of your time. 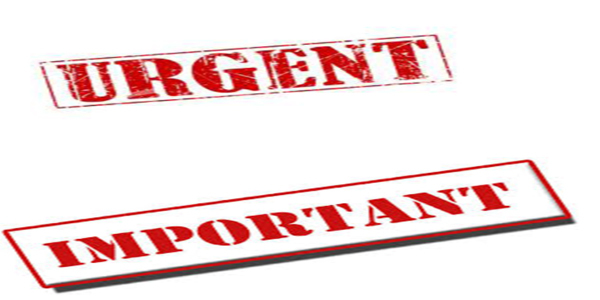 After you’ve done so, now categorize all your activities under these four categories: I) URGENT AND IMPORTANT, II) NOT URGENT AND IMPORTANT, III) URGENT AND NOT IMPORTANT, or IV) NOT URGENT AND NOT IMPORTANT. Where do most of your time and energy go to? 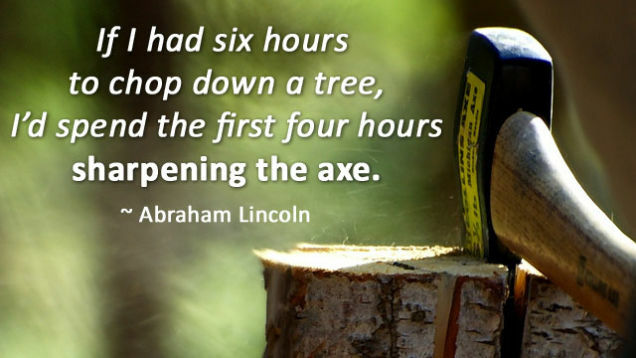 The word wise here means: “to be skilled.” In Ecclesiastes it says there that when there is lack of skills more work is needed but a sharpened ax will require less effort. Skills are important. We have to gain more skills and knowledge as time passes. 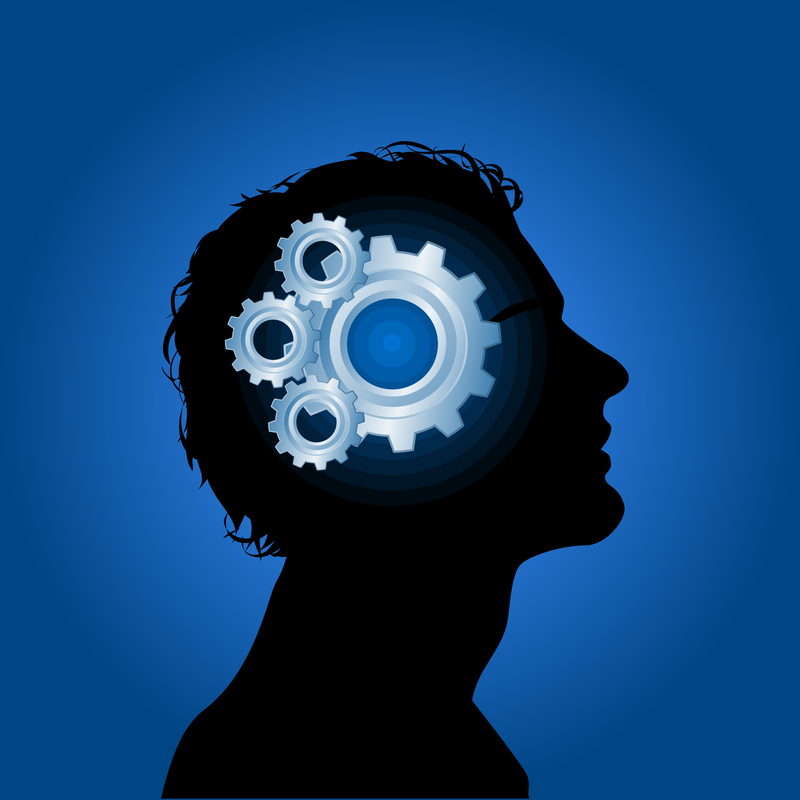 The reason for this is as you become more skilful, it will require you lesser time to do certain things. If you’re familiar with Microsoft Programs like Microsoft Excel or Microsoft Word you see that there are a lot of functions and buttons when you open it. Most people never take the time to study what those things are for and their uses. They just know Microsoft Word as a tool to write their papers while Microsoft Excel is a tool they use for computing stuff. Sometimes because they didn’t take the time to learn and enhance their skills, certain job functions require more time on their part to do. 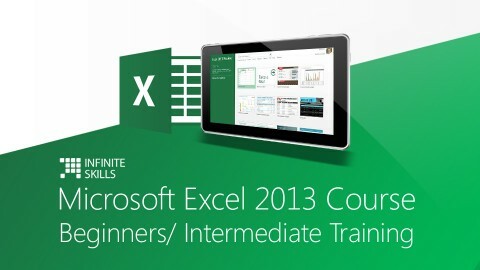 Two weeks ago I taught some of our staff certain tips and tricks when using Microsoft Excel. After they discovered about certain functions that the program can do, it left them flabbergasted. They said they didn’t know they had functions like this or like that i.e. (FREEZE PAZES, PIVOT TABLES etc.). It could have saved them an exorbitant amount of time had they trained in these program before and levelled up their skill. The more skilful we are, the lesser time we will need to do certain things, consequently we’ll have more time to do other things.